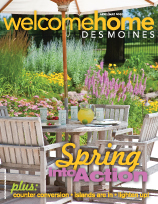 We currently have a project featured in the January/February edition of the local magazine Welcome Home Des Moines. 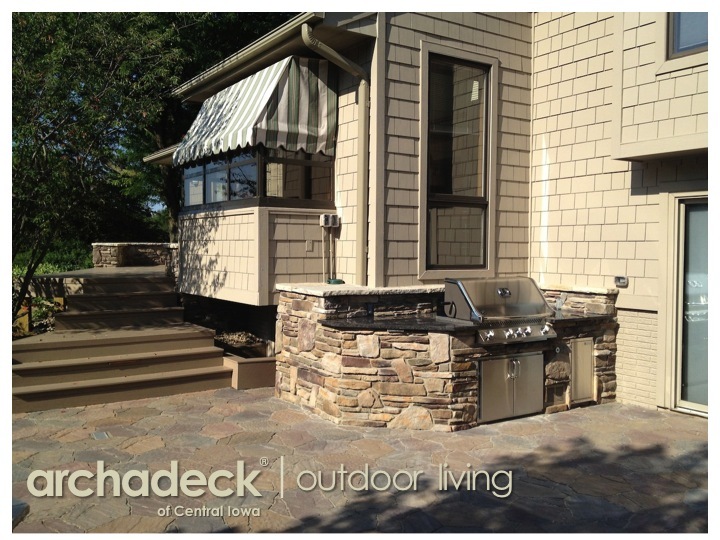 The patio and deck project we designed and built for Steven and Marybeth Lytle in Urbandale also features an outdoor kitchen, a fire pit, a hot tub area and a retaining wall incorporated into existing landscaping. The retaining wall also serves as a seat wall from the patio side and has low-voltage outdoor lighting embedded for nighttime ambiance. 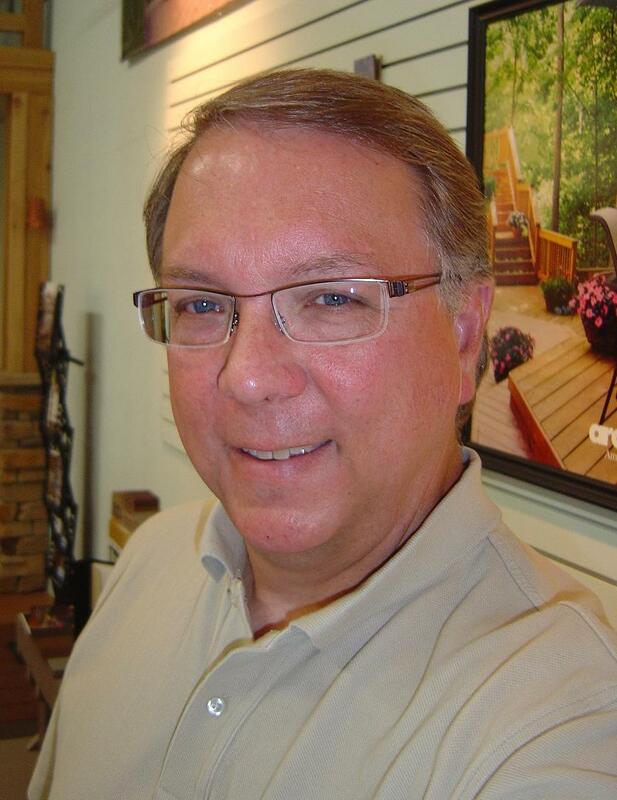 Steven also had a SunBrite outdoor TV incorporated into the kitchen counter area…strategically positioned for viewing all around the patio and from the hot tub. 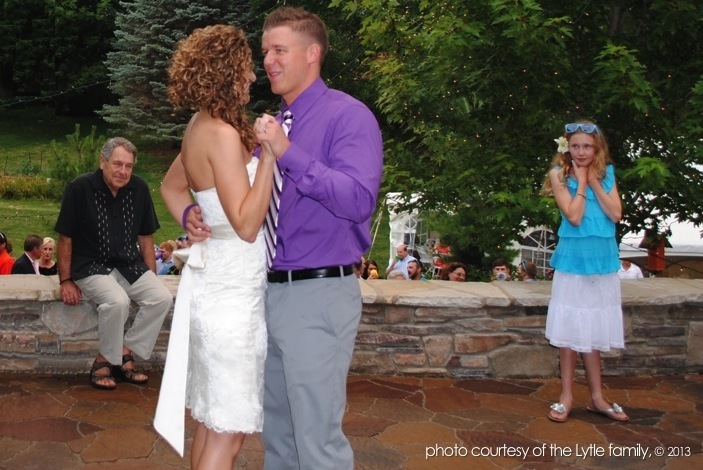 The “New Living Room” article by Carol McGarvey for Welcome Home Des Moines and the accompanying pictures by Tim Abromowitz highlight some of the moments the Lytle’s enjoyed in their new outdoor living space last year – foremost, their daughter’s wedding reception. 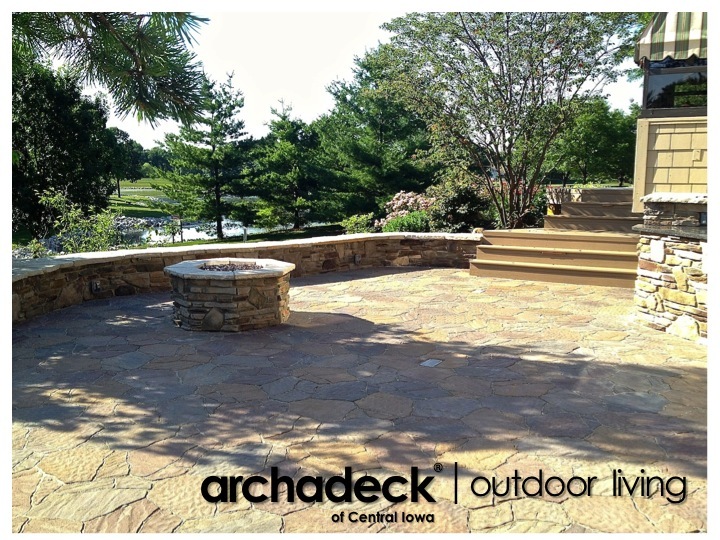 I was told the Belgard Mega Arbel patio made a great dance floor! 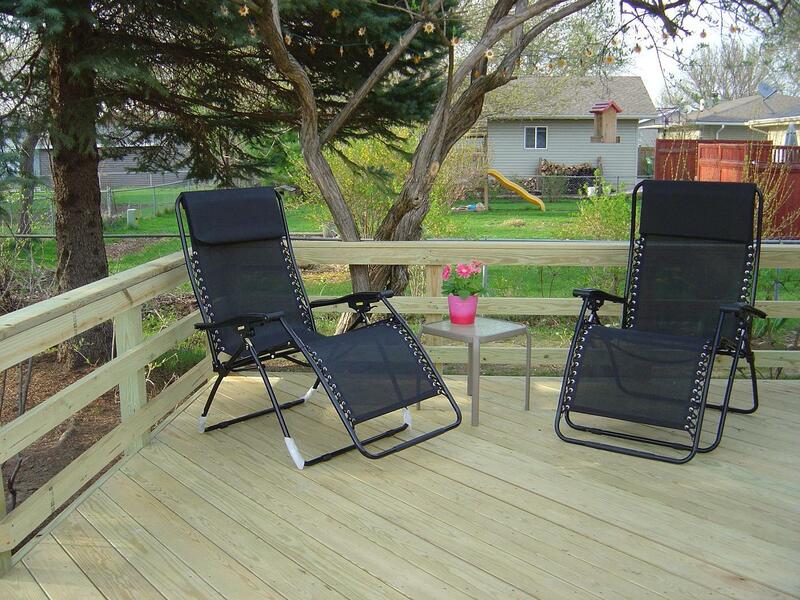 The deck had served the Lytle’s well over their time in their beautiful Urbandale home. But, the deck had lived its life…and now there was Allison’s wedding. 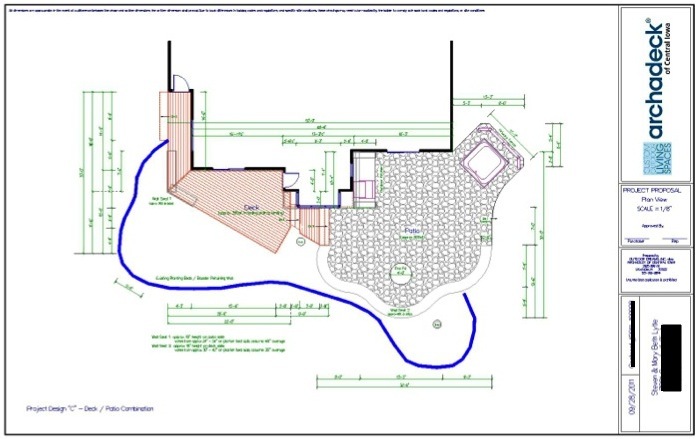 Over the course of a few weeks beginning late August of 2011, I worked with Steven and Marybeth to develop a new design and plan for their outdoor living space. 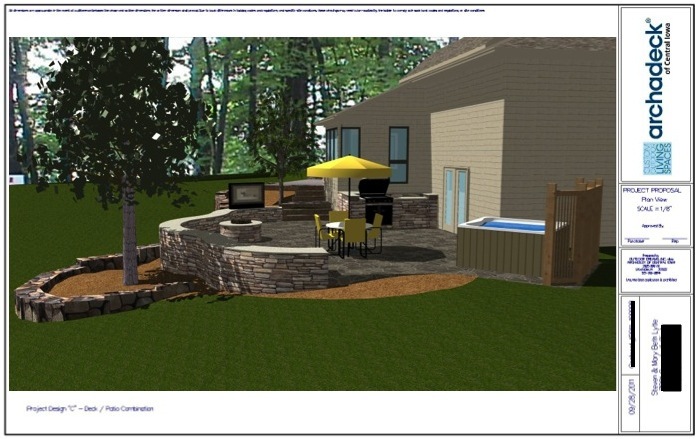 By late September, 2011, we had the design below, detailed specifications and a project plan for bringing the project together…in time for a wedding reception in June of the next summer. 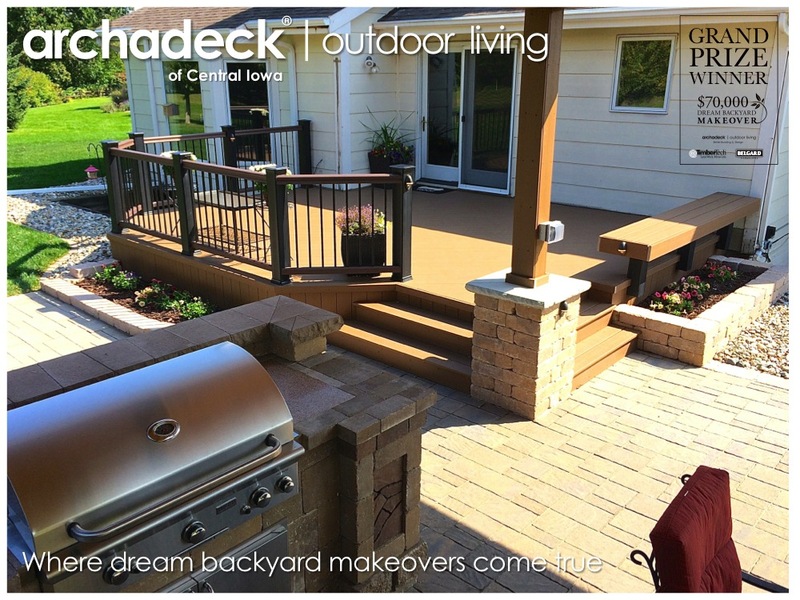 With an Iowa winter in between and more ground-level patio work than above-ground deck work, the deadline could have proven to be more challenging than one might think. But, we were blessed with a nice fall and the mildest winter on record so we were able to get a good jump on the project over the fall and winter and ease into the Spring deadline. Yes, Marybeth…that’s what we were doing…easing. No pressure, right? We broke ground in mid-October, 2011. Serious groundbreaking. A lot of digging, a lot of concrete and a lot of base fill. But, all before the freeze/thaw cycle that disrupts hardscaping efforts in Iowa’s (normally) cold months. So, we left the project in this state in early December. 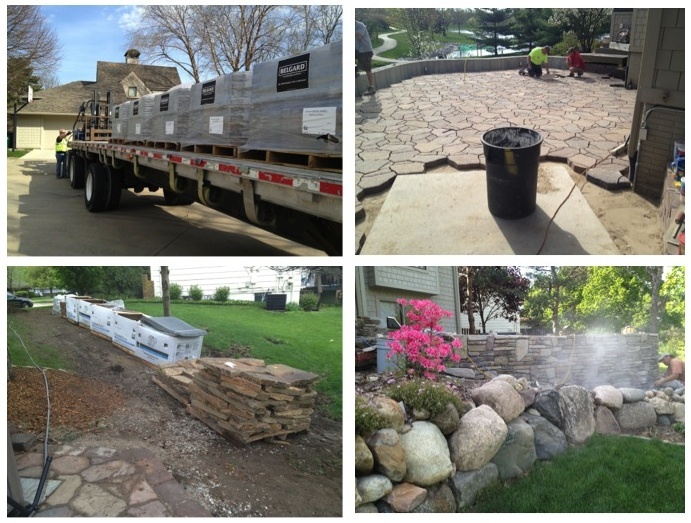 In the Spring, trucks pulled up and unloaded tons of Belgard Arbel Stone for the patio surface and Cultured Stone for the retaining and seat walls. 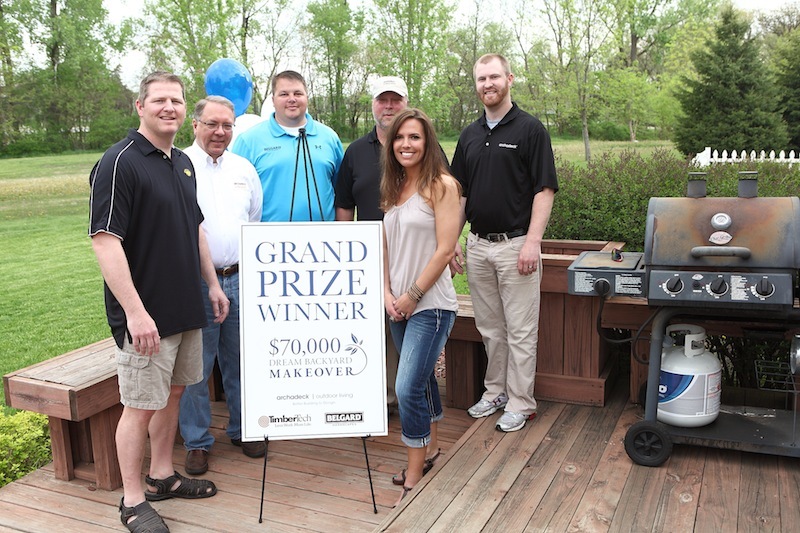 By late March we were back in shorts and t-shirts, laying a paver patio in Des Moines, Iowa. Imagine that! 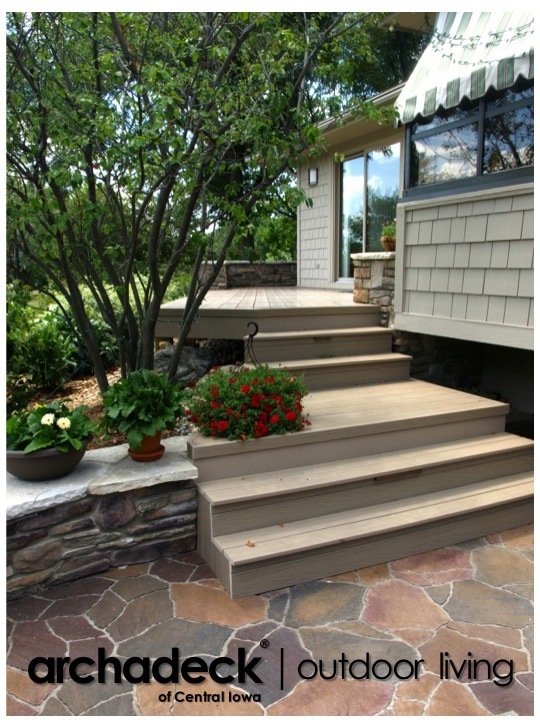 The project also entailed replacing the deck on the upper side of the new patio. So, in conjunction with the patio work, there was more digging, more concrete, more Cultured Stone, some pressure-treated faming lumber, and Gossen PVC decking. In the end… there was a patio to dance on. A fire to gather around. An outdoor theater for watching the Summer Olympics. A hot tub to sit in and relax after a long bicycle ride. An outdoor living paradise. And in the end, there was a deck offering a prime seating location overseeing one of the Des Moines-area’s finest greenbelt systems and Lakeview Pond. 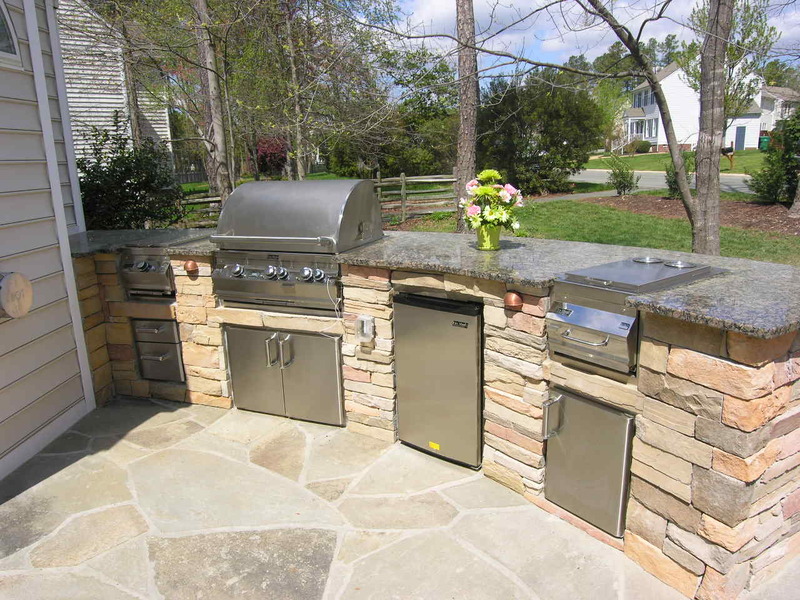 …the little grill that could become an outdoor kitchen. And in the end, there was a fairy tale dream of a young girl, a sentimental father and a wedding dance. 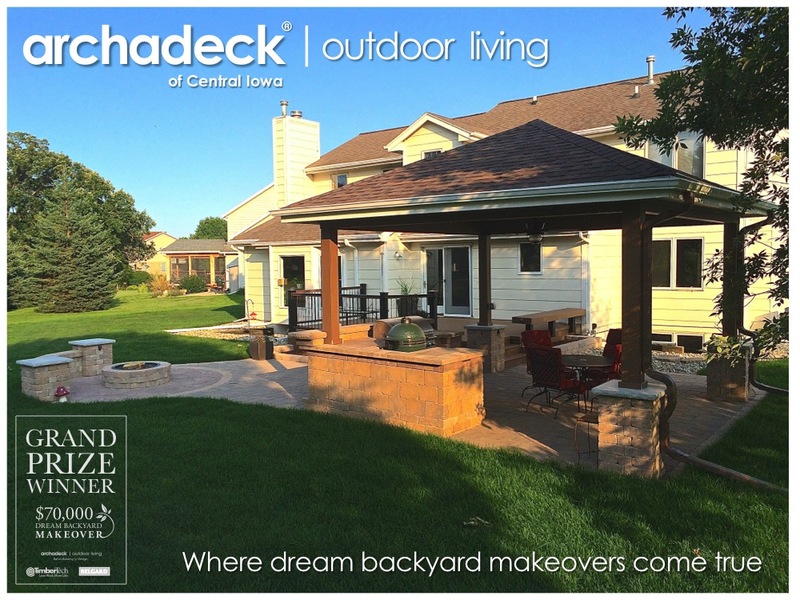 Thank you Steven, Marybeth, Allison, Adam and Madison for sharing your outdoor living space with Archadeck of Central Iowa. 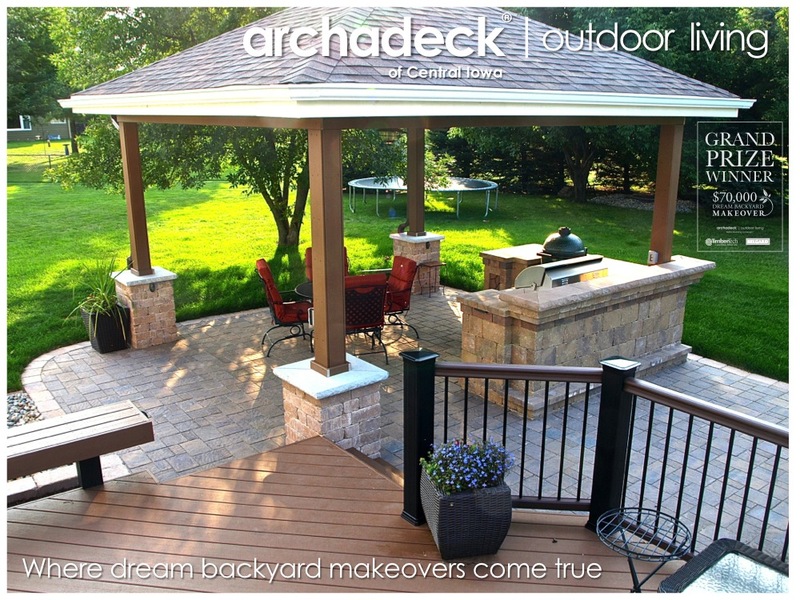 Spring Into Action: Outdoor Living – and Building! Wow, what a wonderful spring we are having! 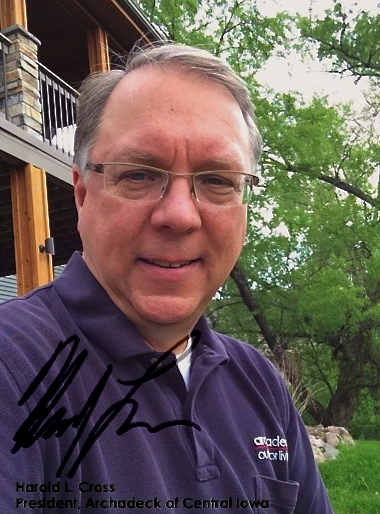 Its amazing how fast we can go from Winter to Summer when living in the wonderful state of Iowa. Around the Des Moines and Central Iowa areas, we have some big, annual events coming up such as the Drake Relays and the Pella Tulip Festival; lets hope this awesome weather continues for those. Not to mention…this weather is really helping out our spring building schedule. We’ve got a couple of deck enhancement projects underway now, we just completed a nice, new deck up in Polk City (the couple said they’ve danced on it already!) 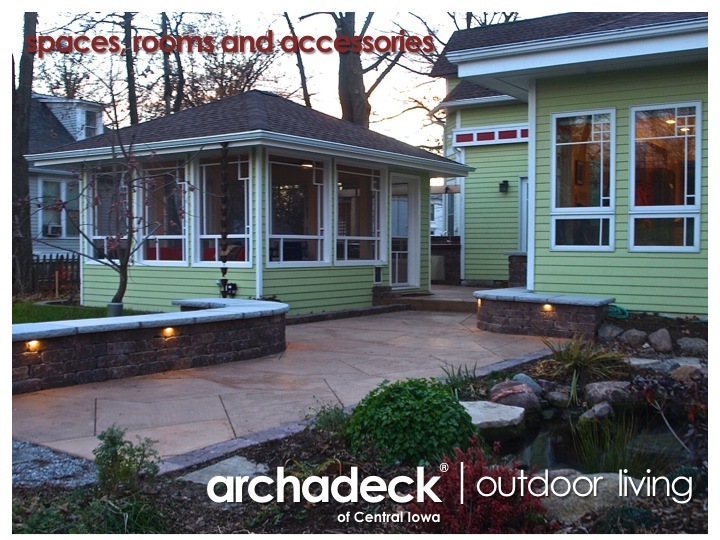 and we’ll be starting a 3-season room and deck project next week in West Des Moines. And more in the queue behind these. 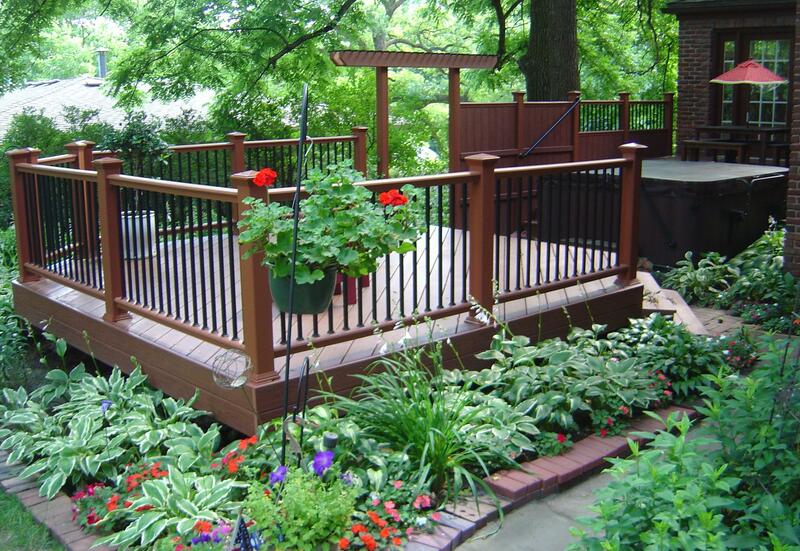 Its good to be building decks, porches, rooms, pergolas, patios, outdoor kitchens and more, again. 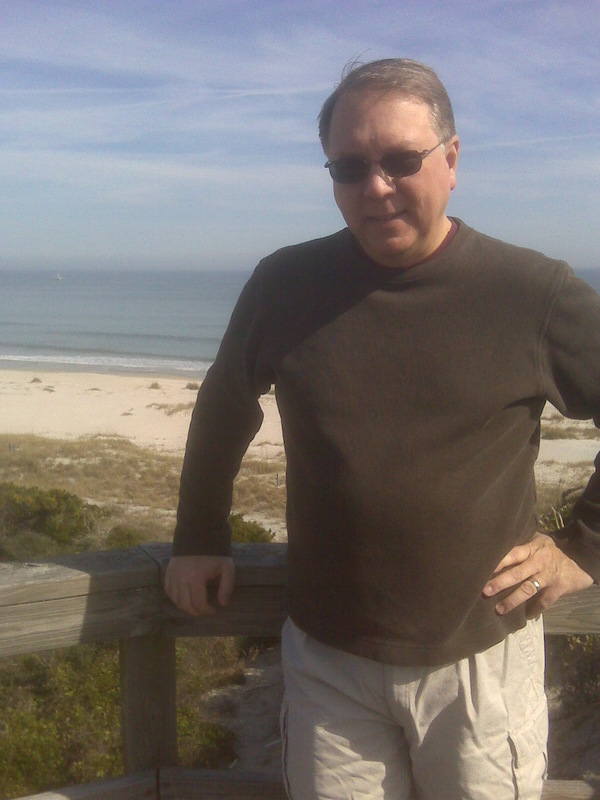 Its good to be working – and living – outside again. 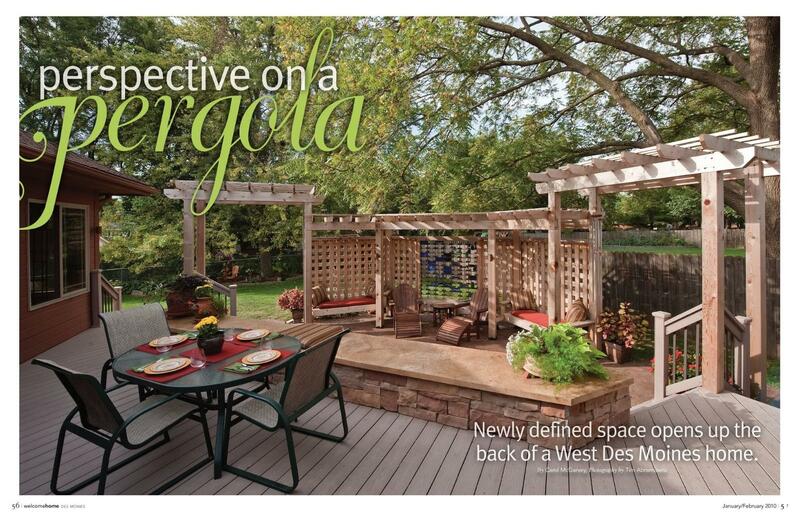 And speaking of outside, Welcome Home Des Moines has its annual Outdoor Living section inside its most recent edition. 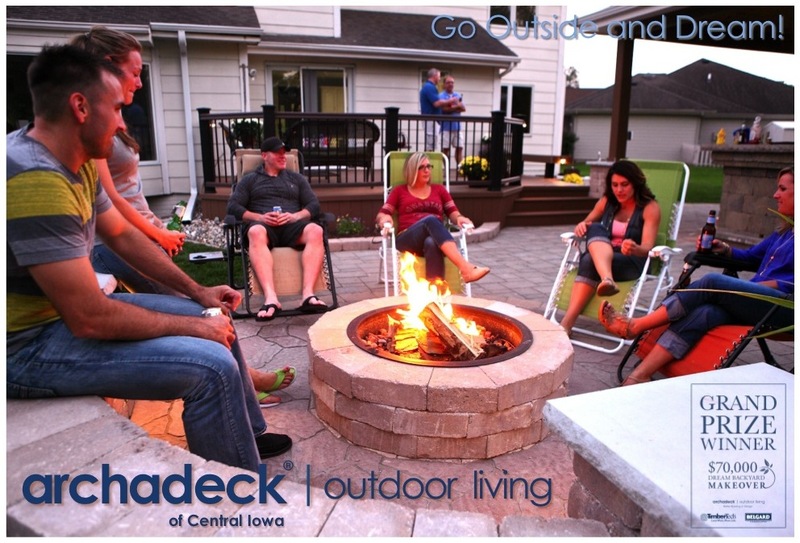 Entitled “Spring Into Action: Outdoor Living,” it features several local firms who provide varying products and services around the concept of “outdoor living,” including Archadeck of Central Iowa. Pick up the magazine around the Des Moines area or check it out online here via these links. It’s a great magazine; you might even want to consider subscribing. Oh yeah, one more “spring into action” thing…April 15th…Tax Day. 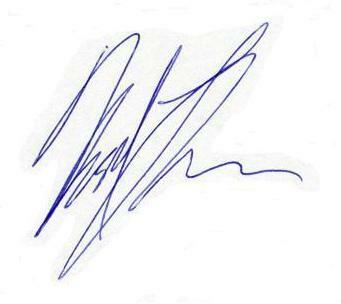 Drat.